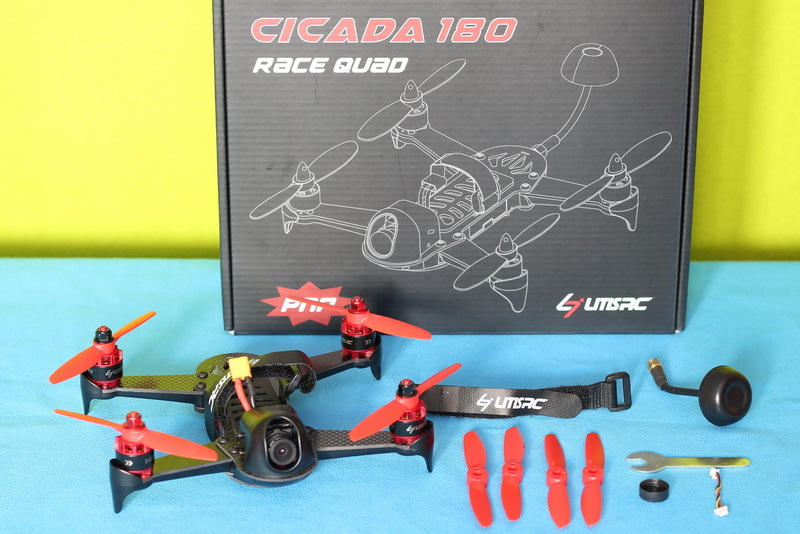 The Cicada 180 is a medium sized FPV drone made by a new multi-rotor brand called LitisRC. 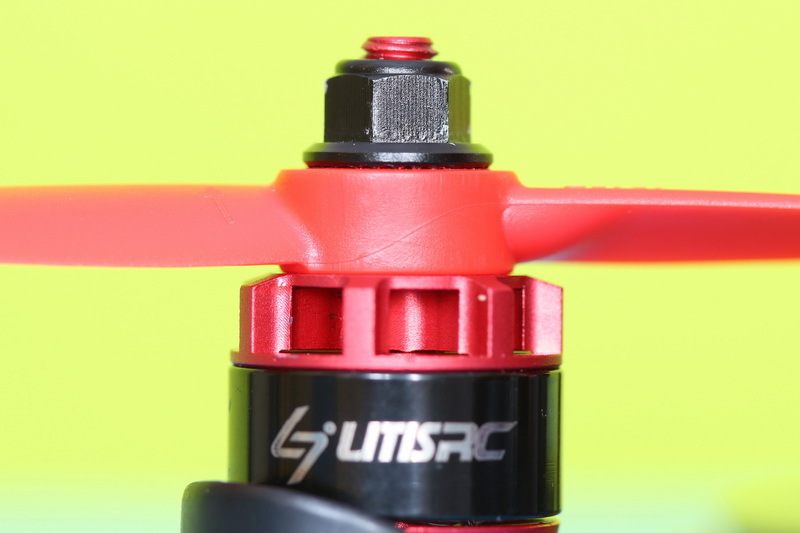 From the first look it is clear that the LitisRC Cicada 180 reassembles the design of the more expensive ImmersionRC Vortex 180 Mini. 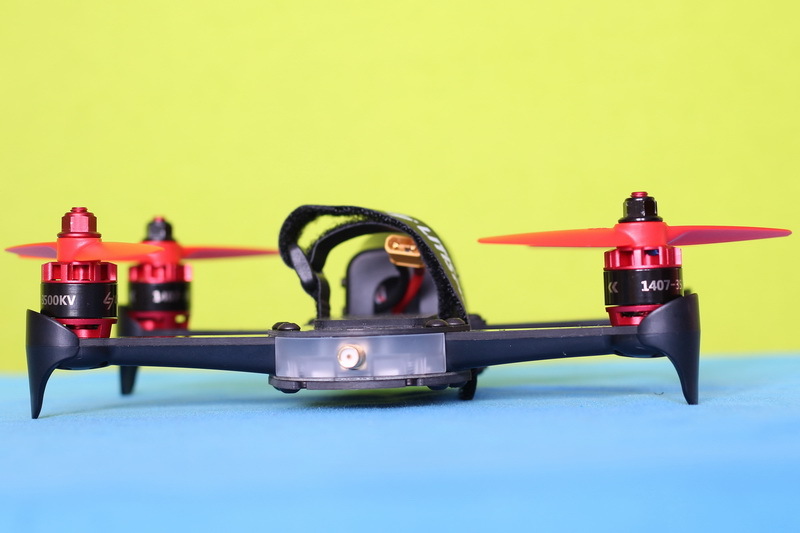 On paper, the two racing drones look extremely similar – but can a cheap $100 FPV drone win the race? We took it out for an extended test to find out. 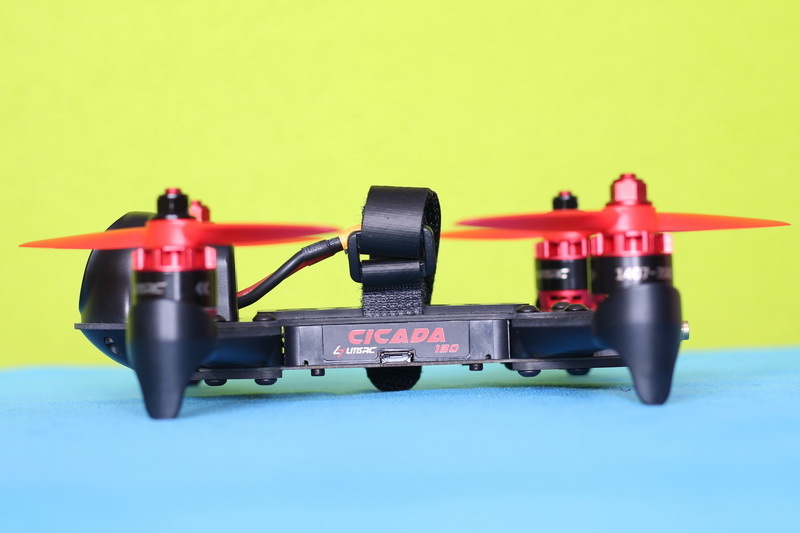 Cicada 180 racing quad is marketed by AKK, a drone accessories manufacturer. 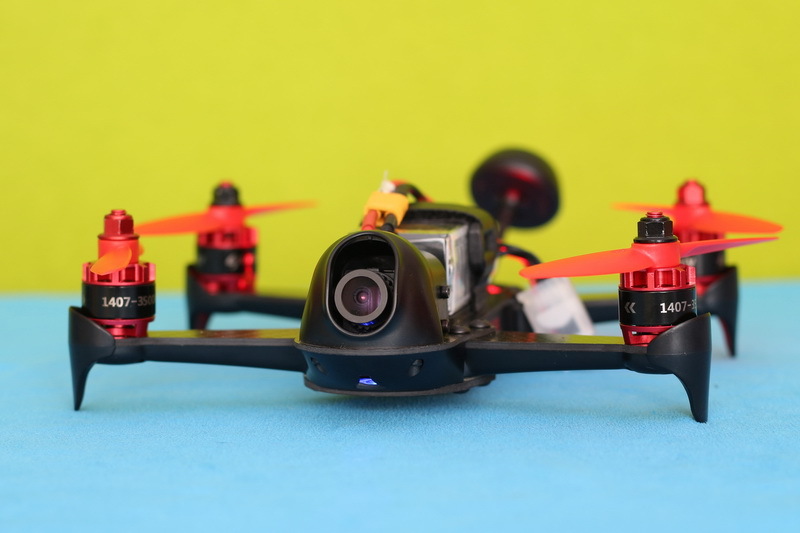 They are mainly focused on VTXs and FPV cameras. Reviewing few of their products I can confirm that they have excellent price/value ratio. 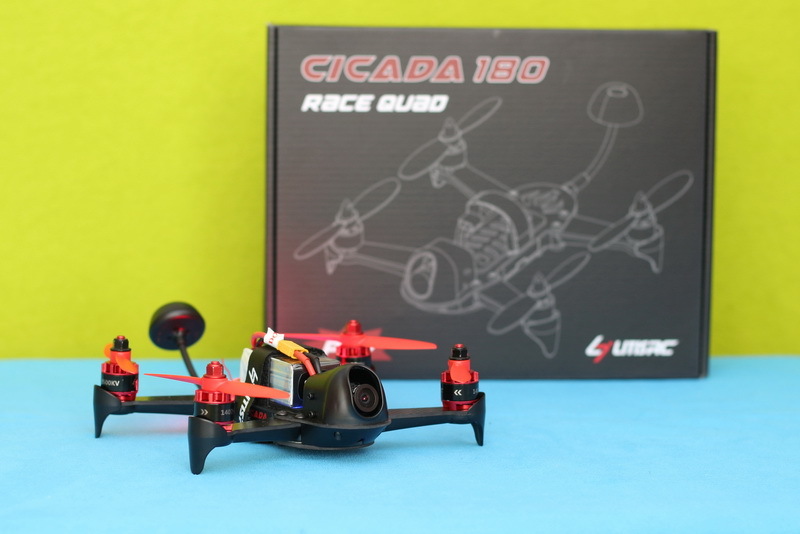 LitisRC released their Cicada 180 FPV drone in two variants, a Basic one and Advanced one. 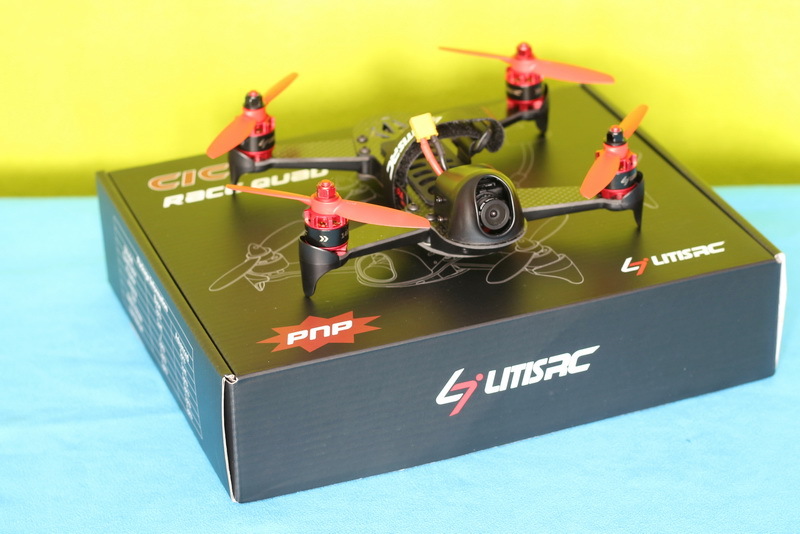 While the Cicada 180 Advanced is available only in PNP package, the Cicada 180 Basic is also available in RTF package (in bundle with FlySky FS-i6 remote). 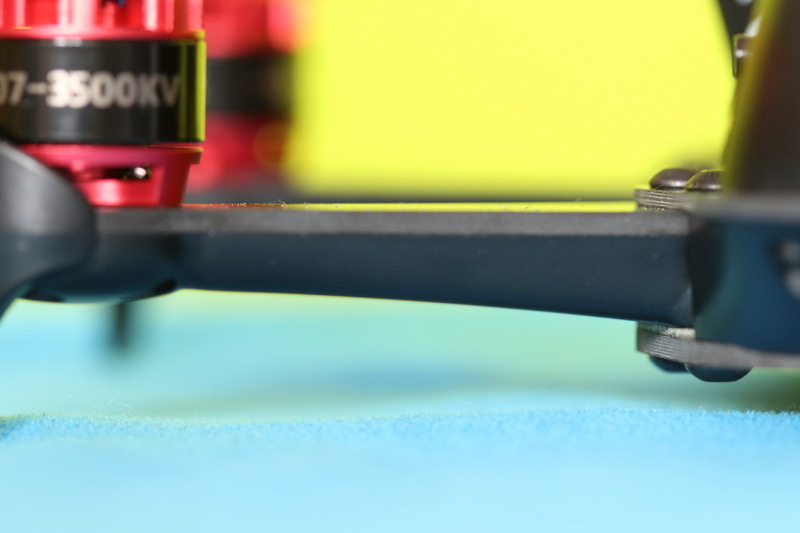 In the table bellow there is a side-by-side comparison of these two, against the Vortex 180 Mini. 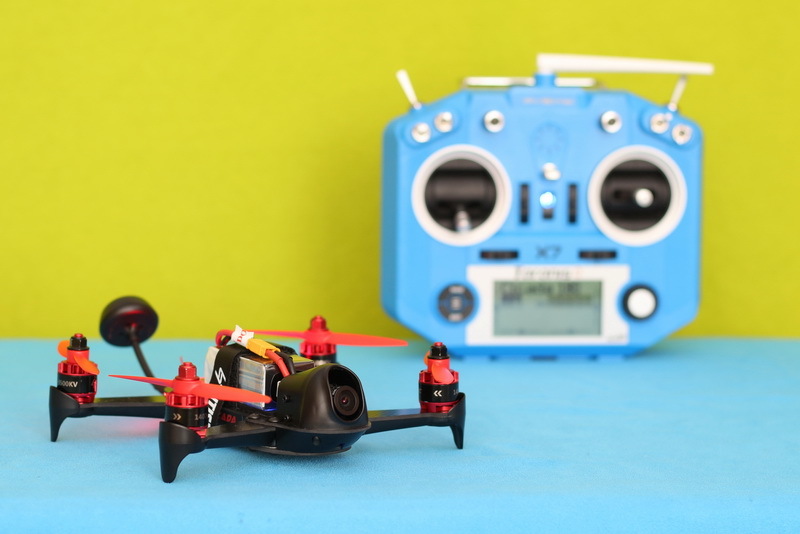 Disclosure: I received this FPV quadcopter as part of a drone review collaboration with AKK Technology. 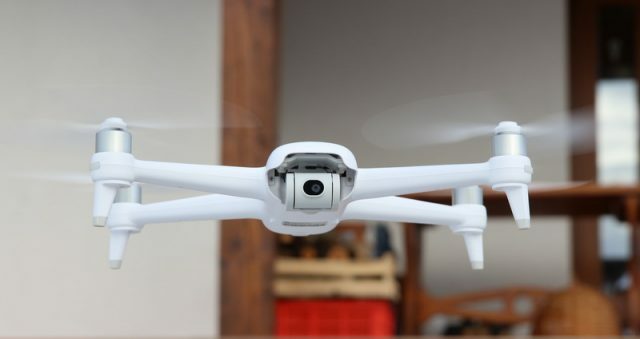 Product specs and quality may vary according to the manufacturer’s reliability, so I cannot guarantee that you will get a drone that performs exactly the same as shown in my review. As AKK offers DHL shipping for all Cicada 180 orders, I was optimist to receive it within one week. But NO, after I sent tons of papers and paid 23$ taxes, they requested more papers… the customs process took more than 2 weeks (from March 20 to April 4). 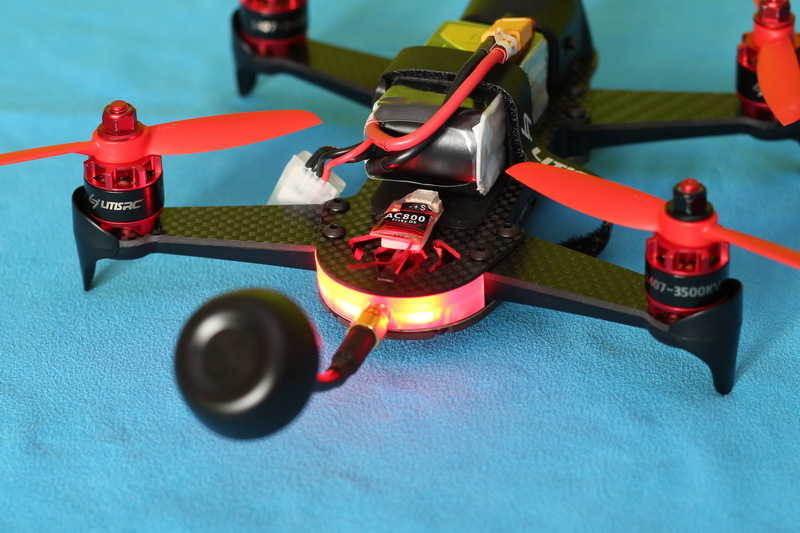 I opted to review the “Advanced” version because I liked the OSD feature and the 4s LIPO compatibility. 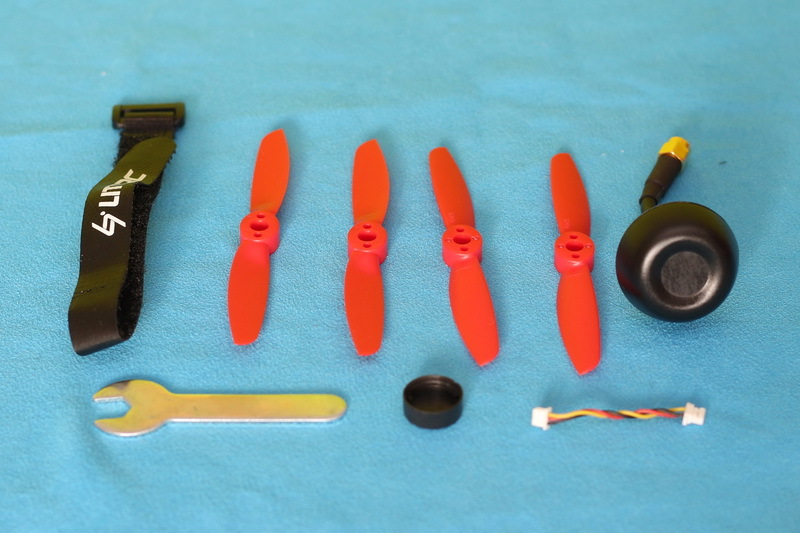 In addition to the aircraft, I found inside the box the following: 1 set of spare propellers, FPV antenna, propeller tool, receiver cable, spare battery strap and user manual. 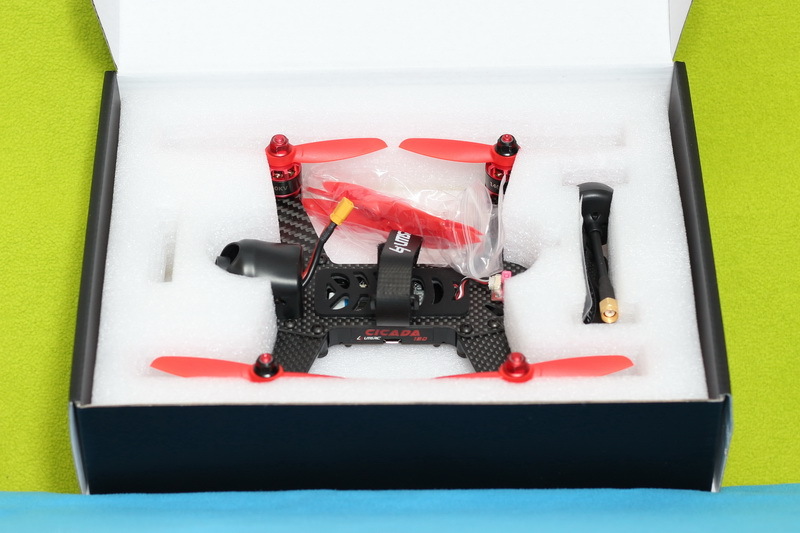 Being PNP package, no radio receiver, transmitter, battery or charger were included. Like I previously mentioned, in term of design, the Cicada 180 is almost identical with the Vortex 180 Mini. 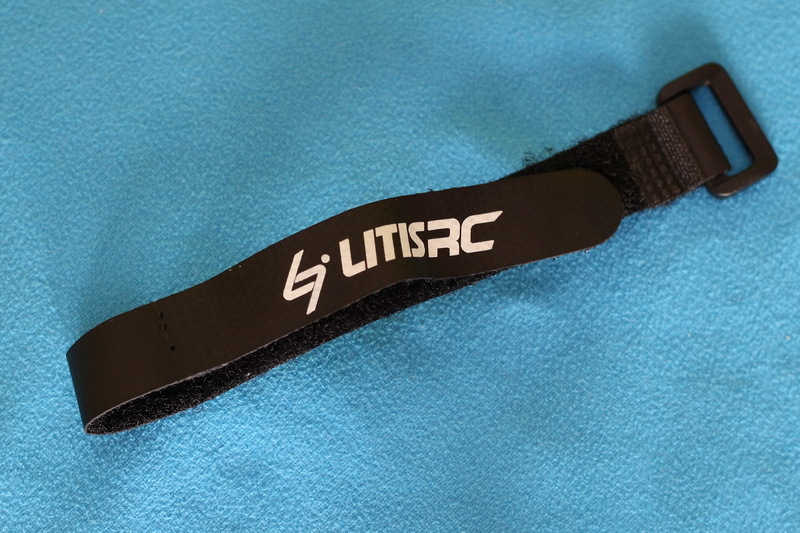 The frame is made from carbon fiber and plastic. 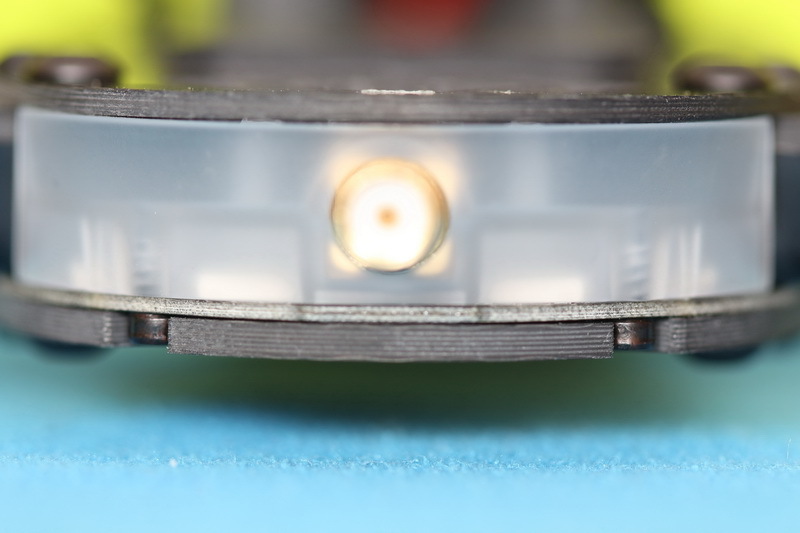 Electronic parts are located between the top and bottom plate. 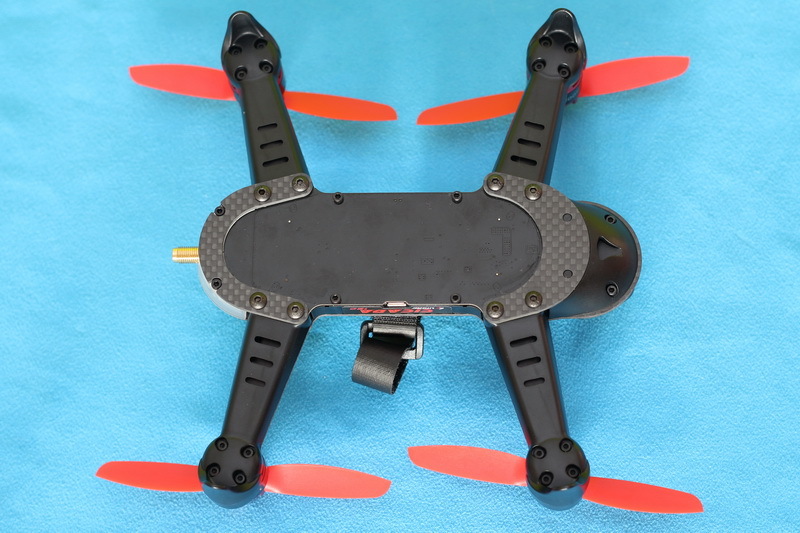 Based on my experience with the Eachine Racer 250 PRO, I don’t like the fact that the bottom plate serves also as power distribution board. 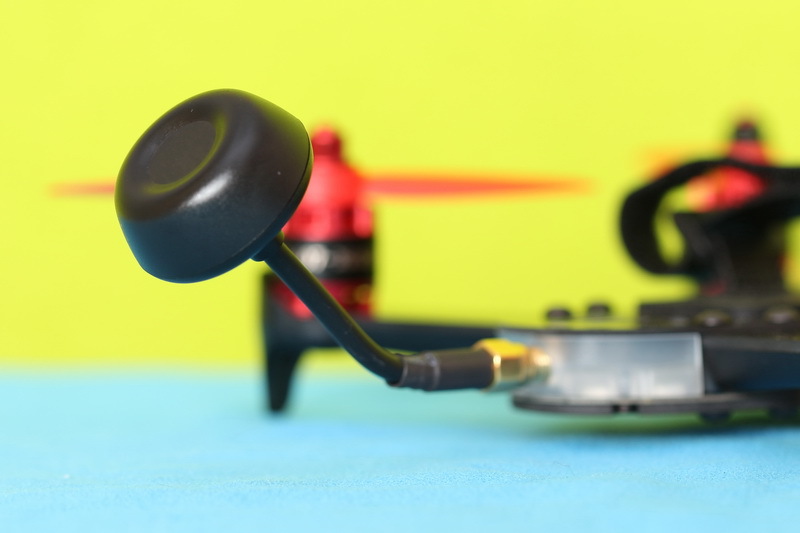 Another negative thing is that the VTX antenna is attached directly to the main board (without a pigtail). 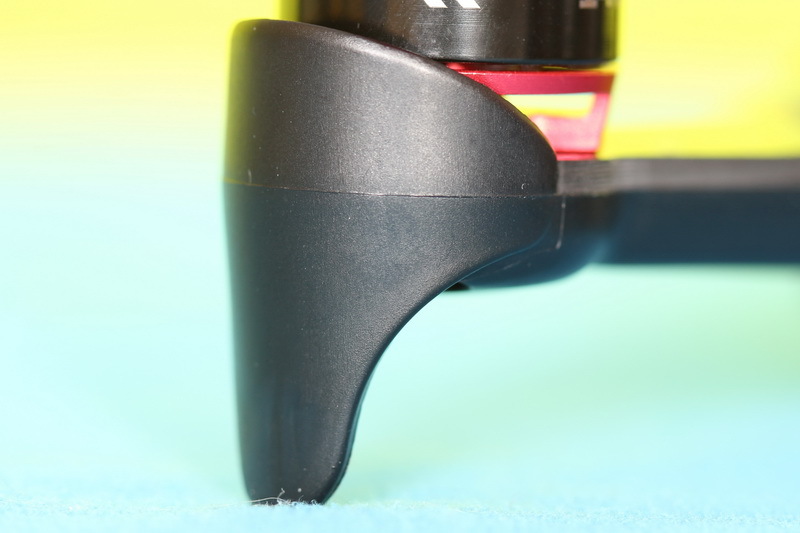 On the back of the drone is located a nice tail RGB LED light. By default it is green. When the motors are armed it turns into red. Lack of frontal lights makes a bit difficult the LoS flights. 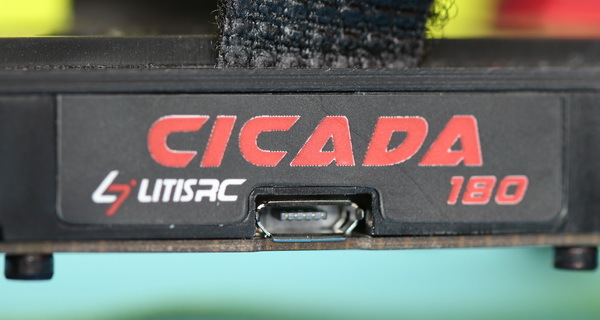 While on the left side of the Cicada 180 is located the micro USB port, on the right side is the boot button (used for firmware upgrade). 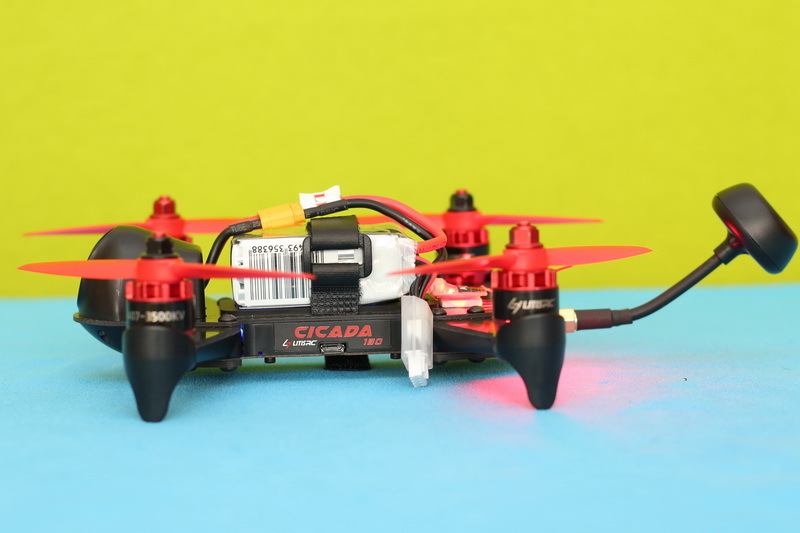 According to the manufacturer’s specs, the Cicada 180 Advanced can be powered with 3s LIPO batteries as well with 4s LIPOs. 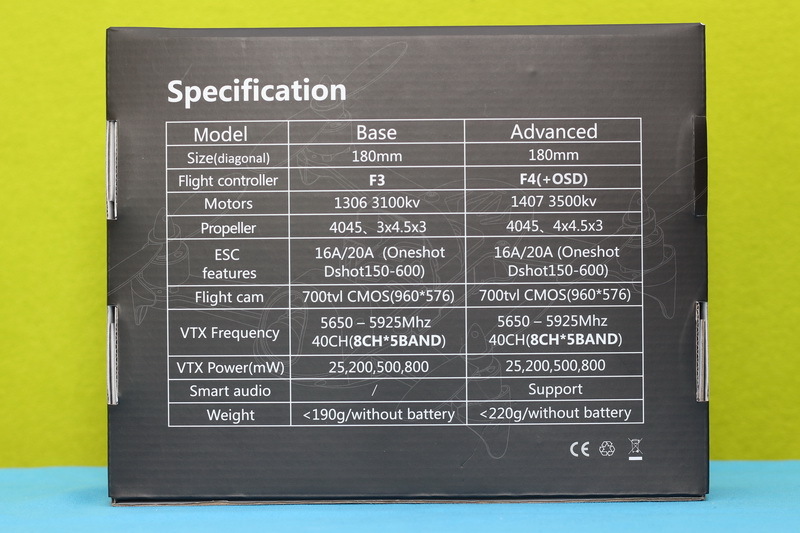 The suggested capacity is between 450-850 mAh. The battery can be easily attached to the top plate using the included Velcro band. 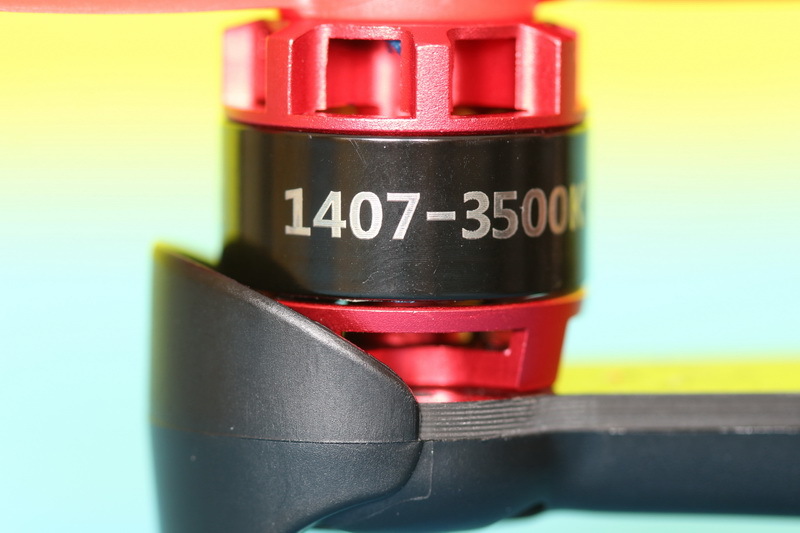 The 1407 3500KV brush-less motors are paired with 2-leaf propellers. 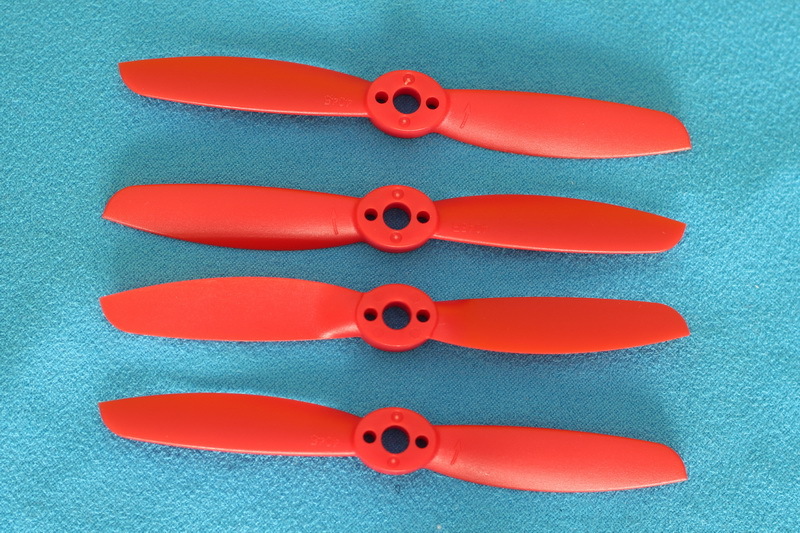 Unfortunately, blades are not self tightening and you can easily loose those tiny prop nuts if you need to replace the propellers on flight field. 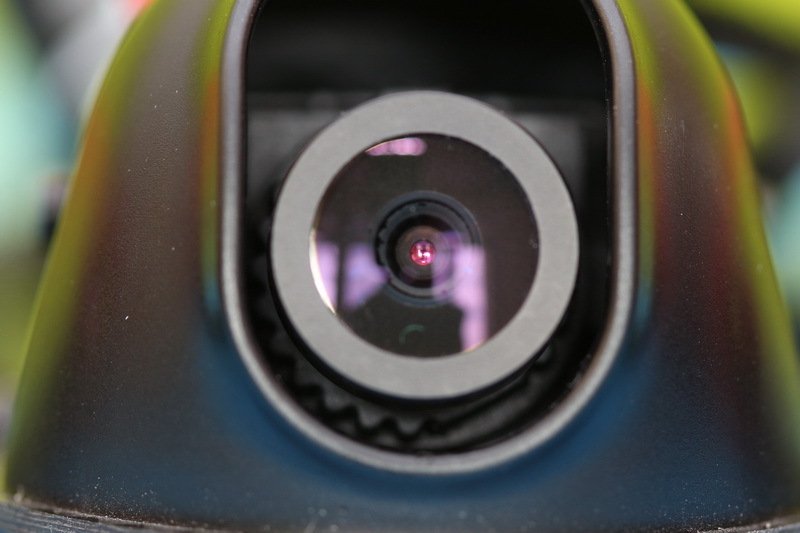 During crashes, the 700TVL camera is well protected by a plastic cover. 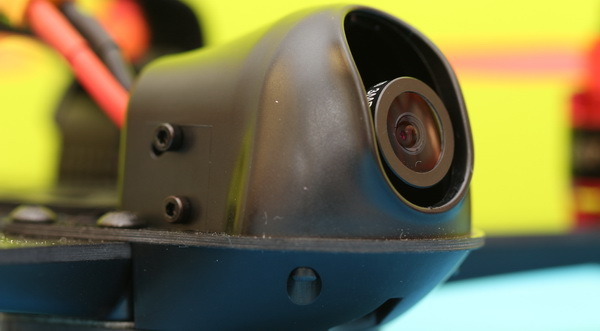 The real-time image transmission is achieved using a 5.8G 40CH VTX with adjustable broadcast power (25, 200, 500 or 800 mW). 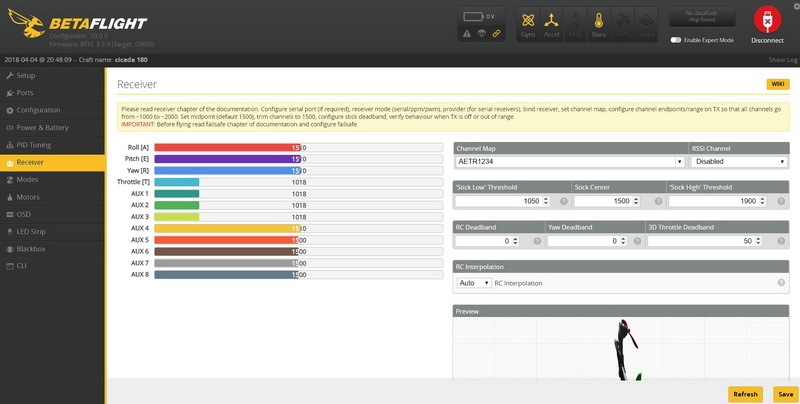 Transmission channels and TX power can be adjusted either through control button or via Smart Audio (VTX telemetry) using the remote controller. 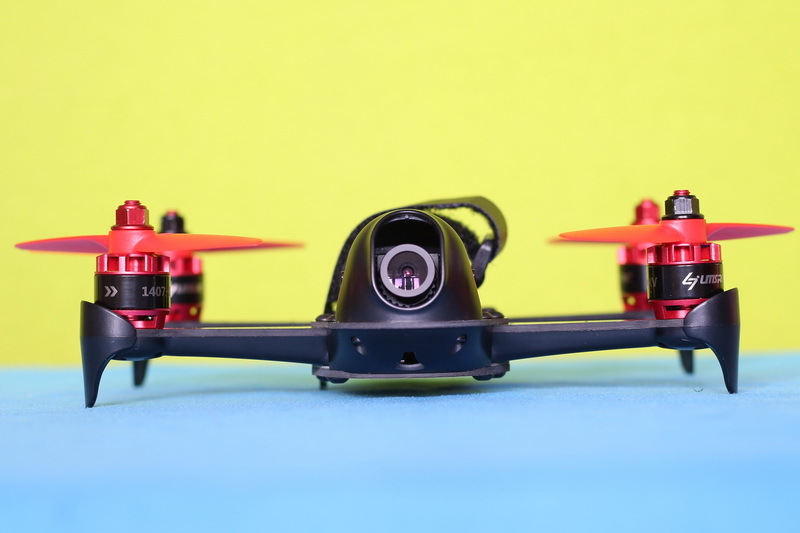 The VTX has a 7 segment display which shows the actual configuration. 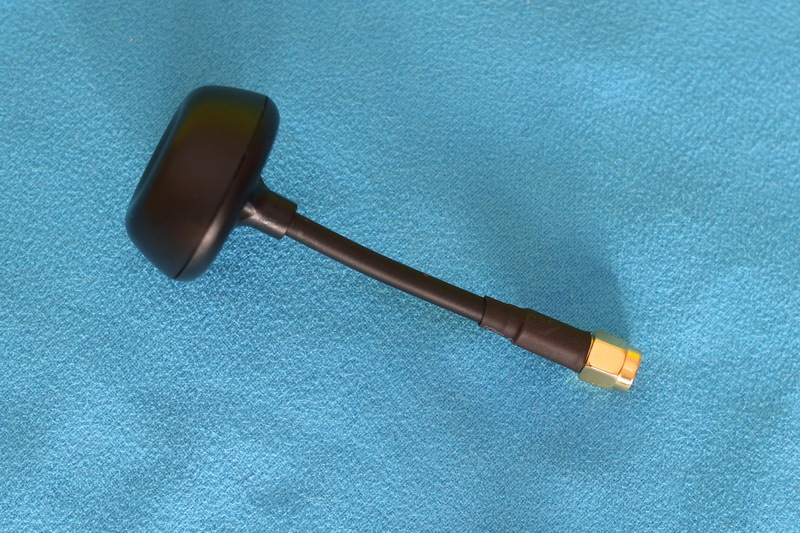 Like most of the modern video transmitters, the Cicada’s AKK VTX also features PITMode. Image quality is quite nice, with good response on light level changes. Personalty, I found the 150 degree FOV just perfect for first person flights. OSD is pretty impressive, you can display lot’s of flight parameters. 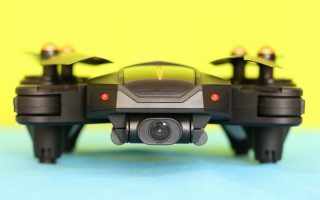 Just to name few of them: elapsed flight time, battery voltage, instantaneous current consumption, flight altitude and flight mode. 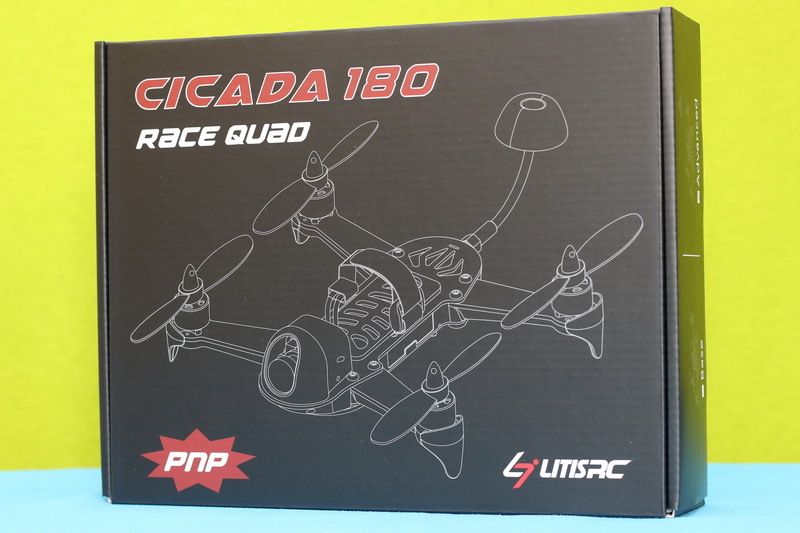 As I previously mentioned, I got PNP version of the Cicada 180 Advanced. This means that is not able to fly right out of the box. 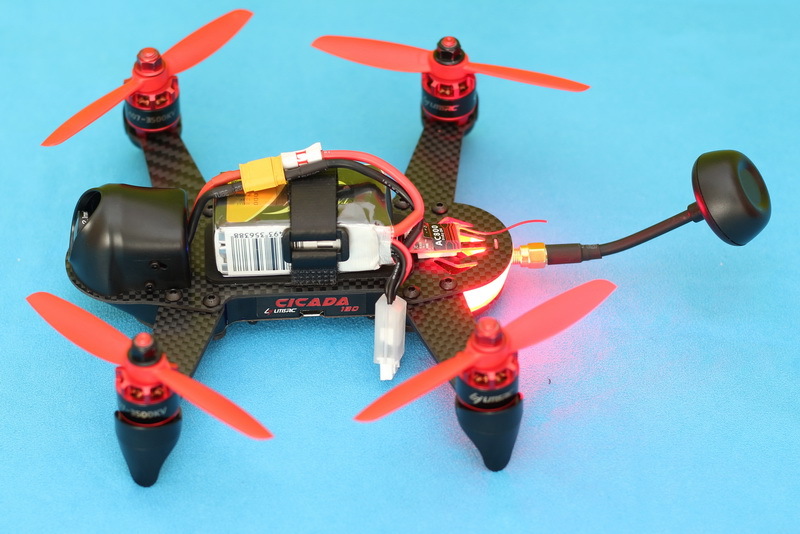 Note: Prior to connecting the battery for the first time, remove the propellers and attach the FPV antenna! 1. Receiver installation. Finding the proper battery. Being a Taranis fan, I opted to use a AC800 D8 Frsky radio receiver. 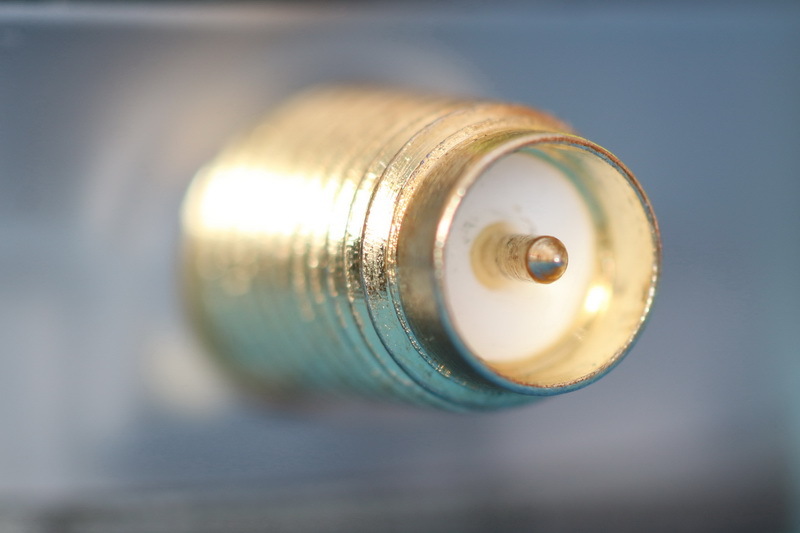 As it is very small, it can be mounted outside as well as inside of the Cicada 180 LitisRC. Wiring the radio receiver is very easy and can be done in just few minutes. Thanks to the included servo cable (after I mod it from 4:3 to 3:3 pins), no soldering required. Frankly, the XT30 battery plug made it a bit harder to find a compatible battery. I have tons of XT60 and JST LIPOs, but none with XT30 connector. 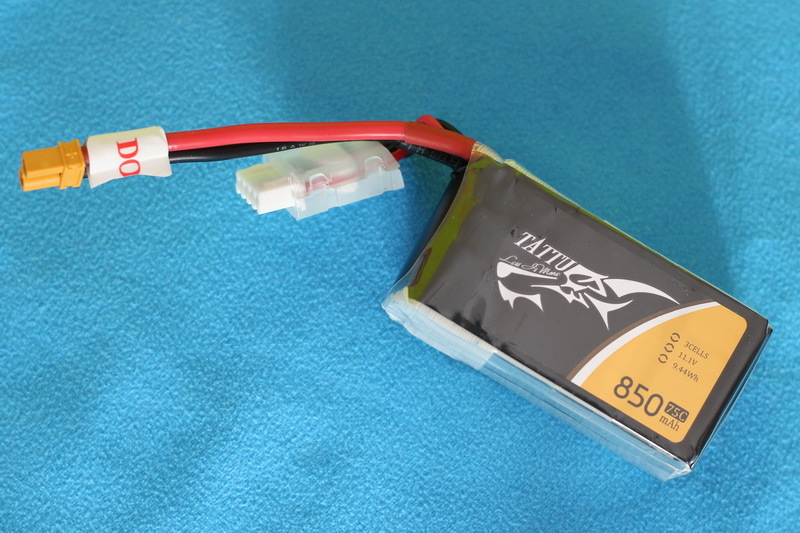 Thus I needed to purchase a Tattu 850mAh 11.1V 75C XT30 in order to make it to fly. 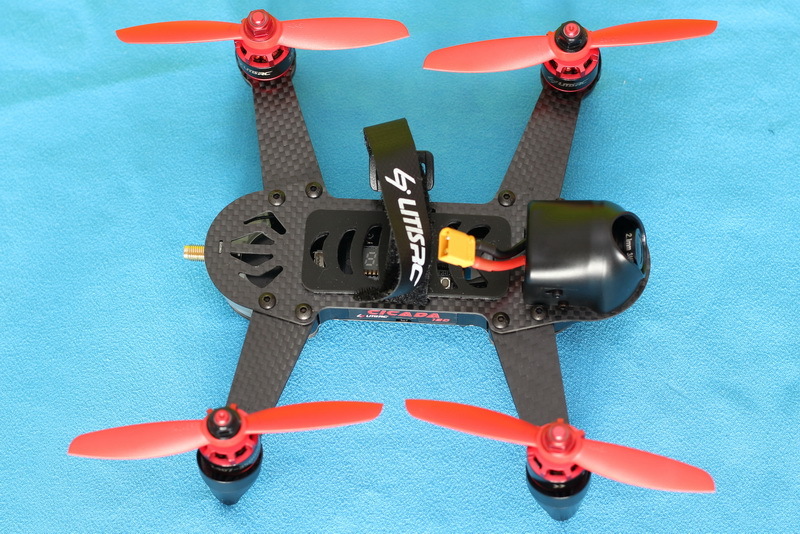 I also plan to get a 550mAh 4S LiPo in order to check if there is any performance improvement (3s vs 4s). 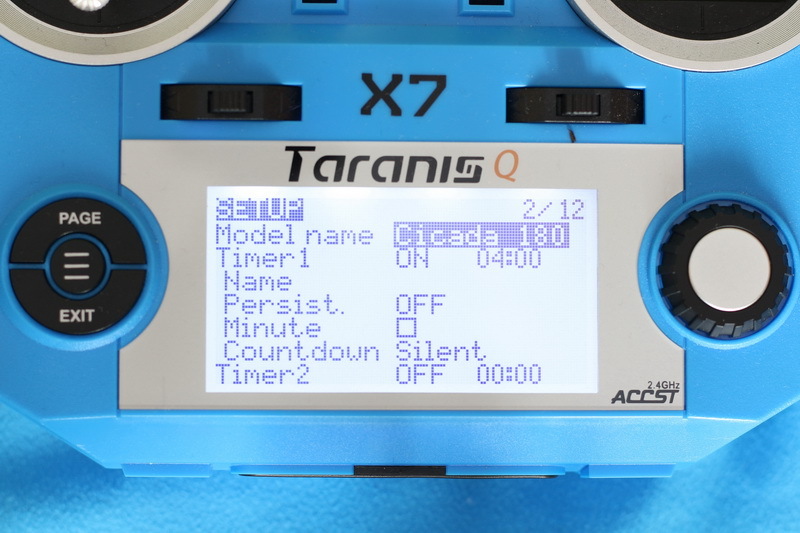 Firstly, I created a new model on my Taranis Q X7 remote and named it “Cicada 180”. 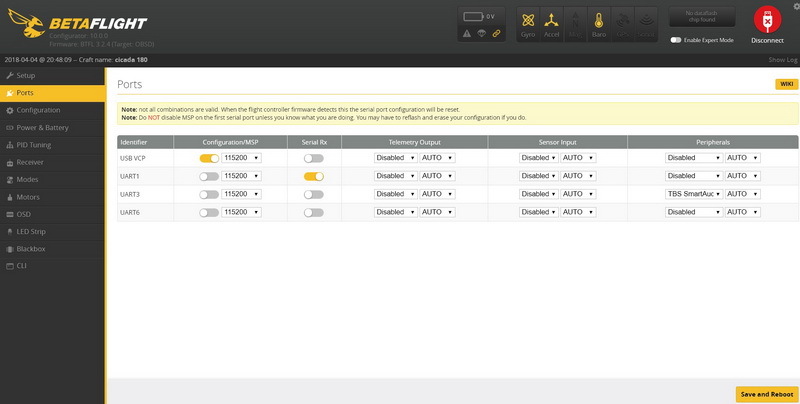 Under the “Model setup” screen I set “Internal RF”, operation mode to “D8” and channels number to 8. 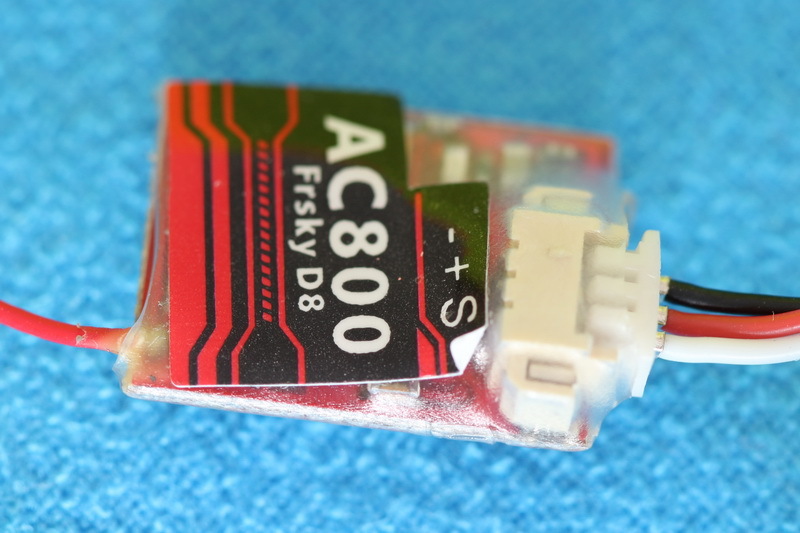 Without a F/S (bind) button, the AC800 receiver can be paired with the TX a bit differently. The AC800 has two modes, SBUS and CPPM. 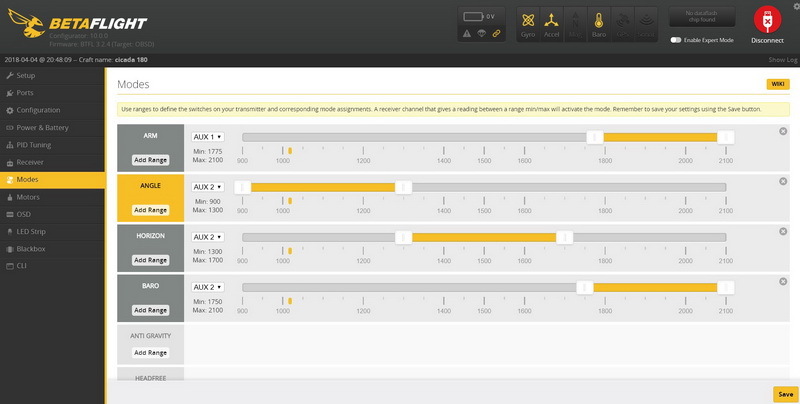 Mode selection is made according to the time you select the bind option on the transmitter (wait 6 seconds in order to select SBUS and 30 seconds for CPPM). Successful binding will be confirmed by solid red light on the radio receiver. 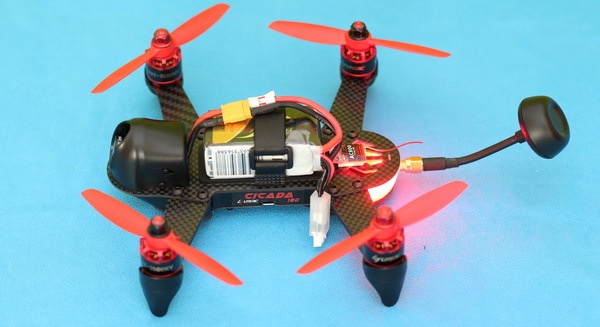 In order to avoid entering in bind status again, you always need to power ON the transmitter first and only then the Cicada 180 drone. 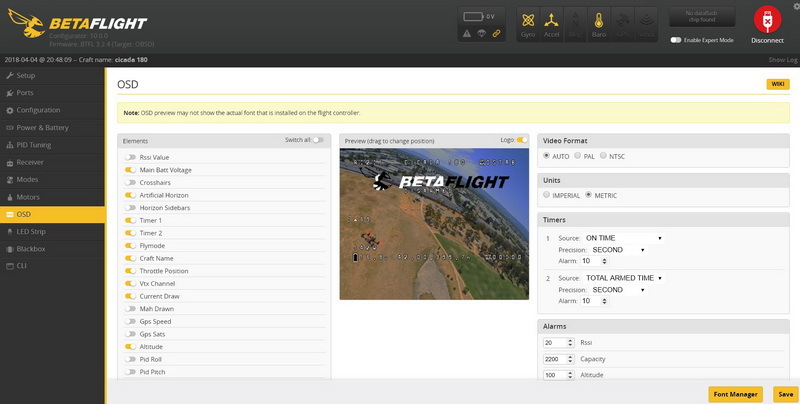 In order to customize the channel mapping, the role of switches and to adjust OSD & PID values, you need to install the Betaflight Configurator extension under Goggle Chrome. Surprisingly, I didn’t need to do anything around the radio receiver configuration. It worked out of the box. As the assignment of switches is dependent on the habit of each pilots and the transmitter layout, it must be reviewed and adjusted to your personal requirements prior the first flight. 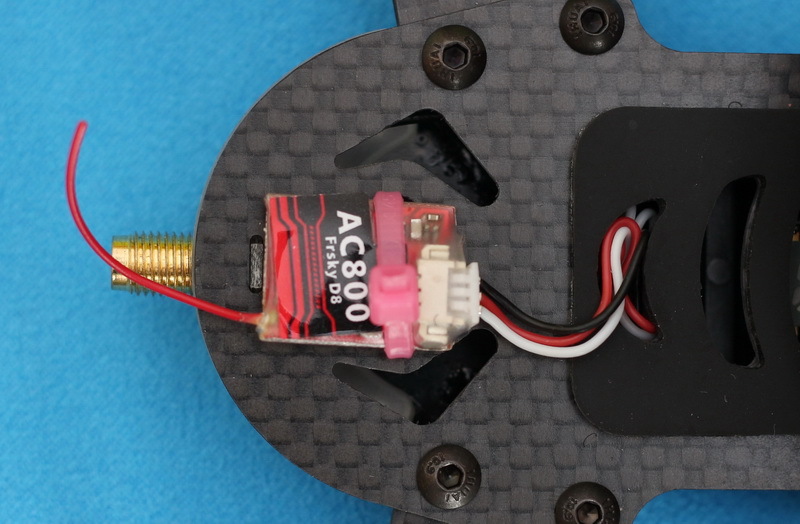 Like usual, I opted to use left shoulder switch to Arm/Disarm the motors and the right 3 position switch to toggle between preferred flight mods (Angle/Horizon/Baro). Yes, still not experienced enough to fly on Air/Acro mode. I assigned a third momentary switch to the beeper if something goes wrong and I crash it. 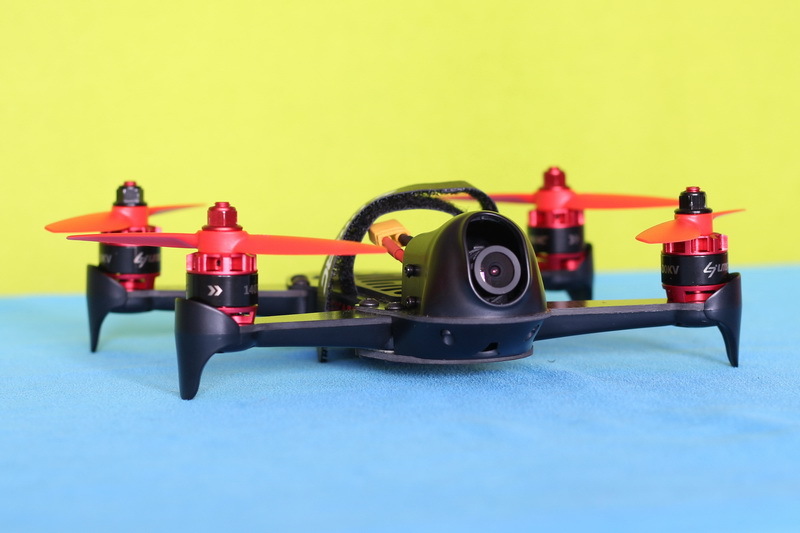 One very important thing to note here is the fact that, due to the multiple flight modes, the Cicada 180 is suitable for inexperienced drone pilots as well as for advanced ones. 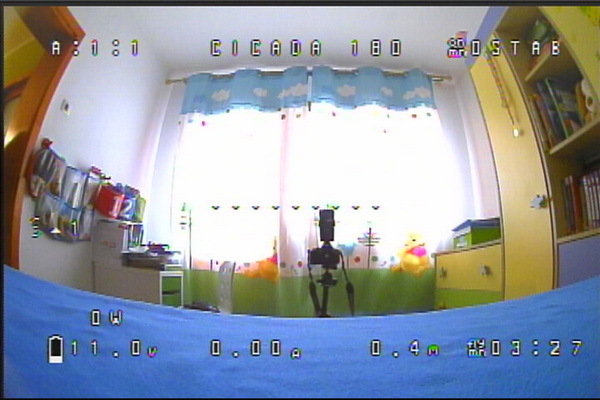 After I put everything together, I did some indoor hovering test. Even if it’s smaller than my HolyBro Kopis 1 it is not suitable for indoor, it needs large open space to unleash. 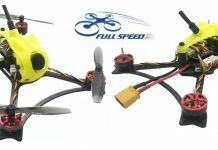 With 3S LIPO it is not a supper fast machine, but those who are accustomed with toy drones will be strongly impressed by its speed. The status lights at the back are easy to see, so it’s great for orientation. 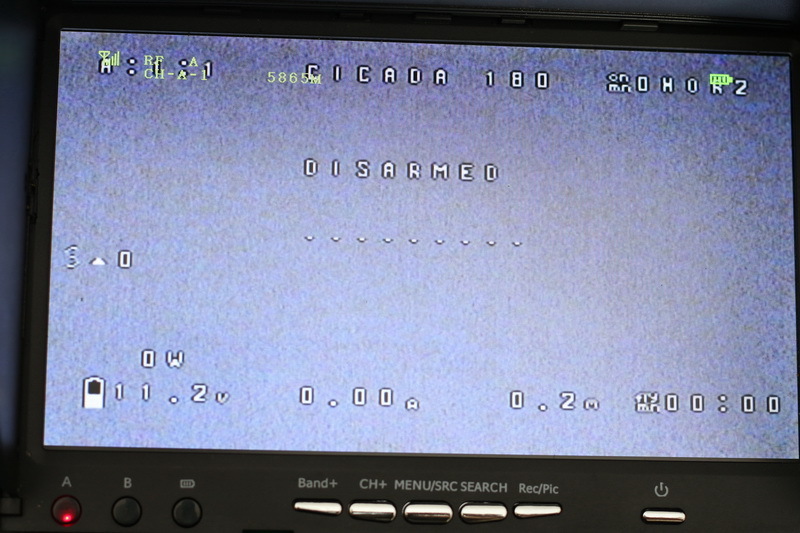 Also allows you to know whether the motors are armed or disarmed. 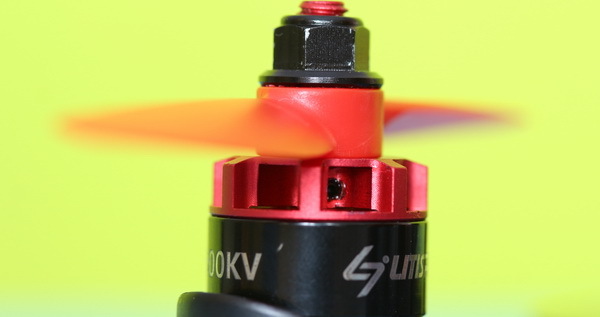 BTW, you can opt in BetaFlight Configurator to set the motors to spin or not when they are armed. The range of the AKK Cicada 180 varies according to the environment. 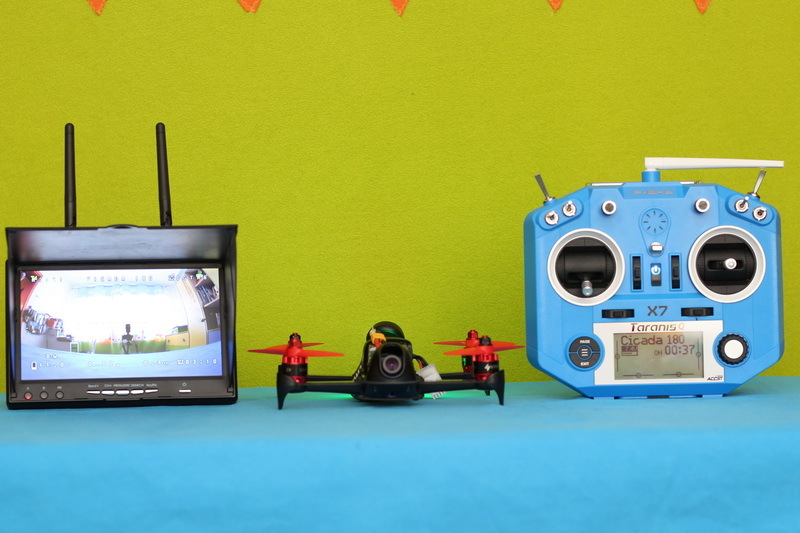 It is considered good practice not to fly with a VTX capable of outperforming the radio system in terms of range, and vice versa. Therefore I set the VTX for only 25mW, allowing similar range as the AC800 receiver. Flight time is somewhere between 3 and 5 minutes. It is widely depending on how much throttle you give. 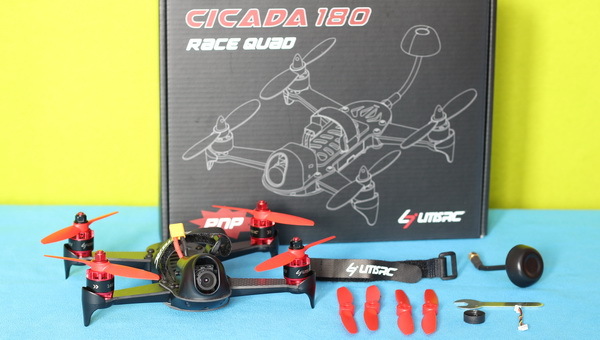 Frankly, I was pleasantly surprised by the LitisRC Cicada 180 Advanced. 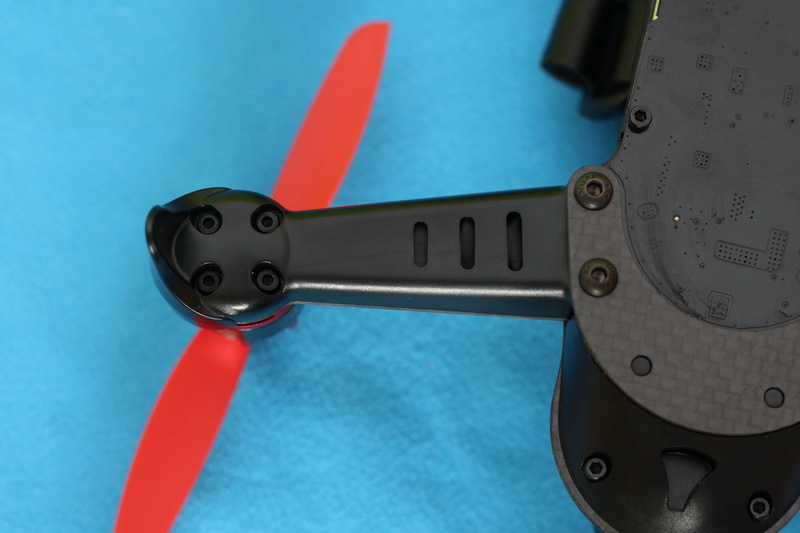 It is an excellent combination of top-notch hardware, great flight dynamics and easy setup. Pre-flight configuration took less than 1 hour. 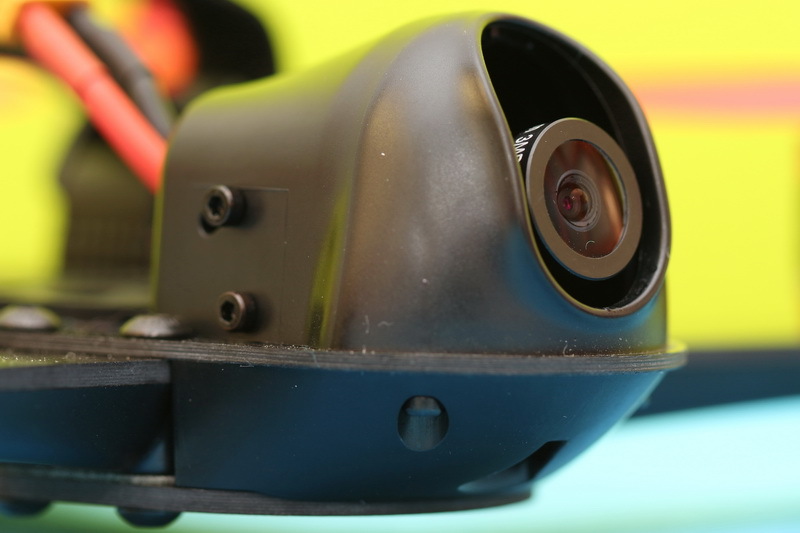 The detailed OSD makes your FPV flights truly immersive. Since I started to write my review, the price of the Cicada 180 has risen slightly. Now, the Basic version can be found here for $129 and the Advanced for $149. 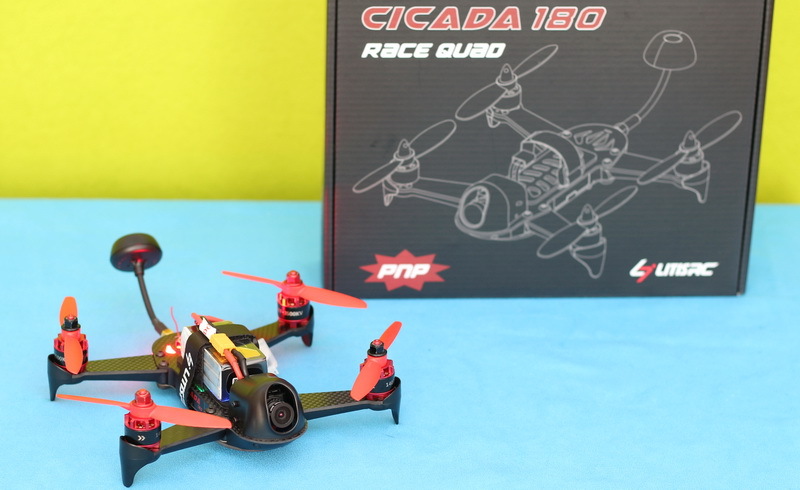 In any case, if you’re looking for an affordable ready-to-fly racing drone in 2018, the Cicada 180 RTF is probably the best way to go. 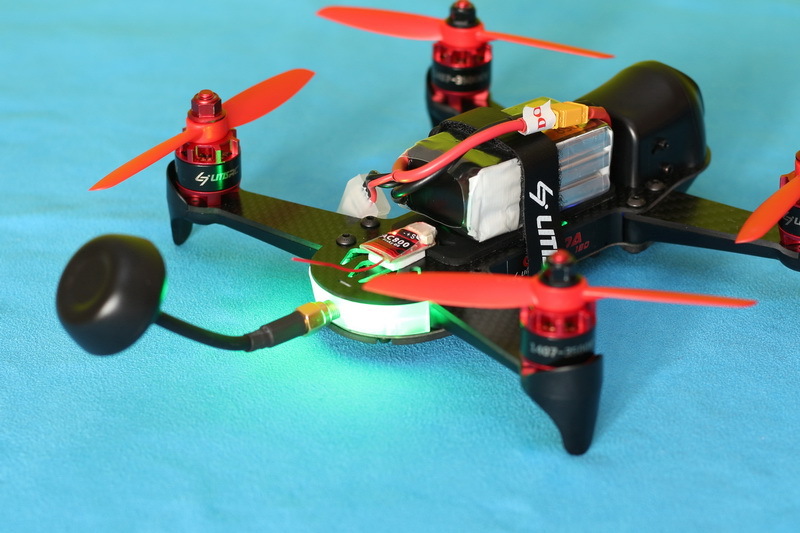 Compatible with 3s and 4s LiPo batteries. LoS = Line of Sight. Can you clarify what you mean by this statement? 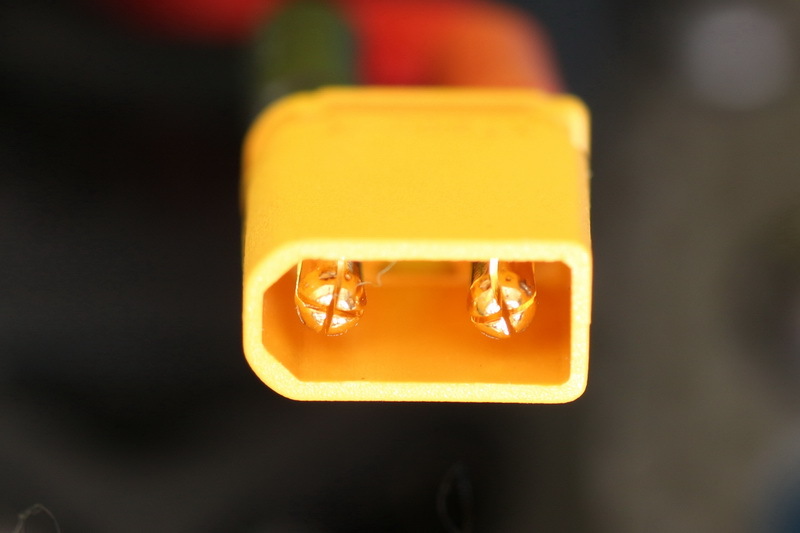 “Thanks to the included servo cable (after I mod it from 4:3 to 3:3 pins), no soldering required.” The plug on the xsr receiver is 4 pin. 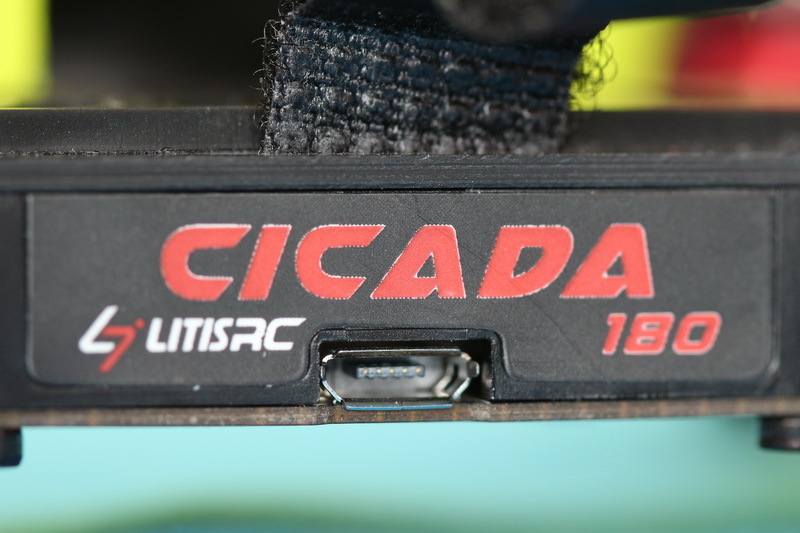 When I soldered the included 3 pin connector to the xsr connector, I don’t have any communication to the cicada 180 flight controller. Is this part of the “inverted signal issue”? I’m stumped. Please help. Thanks I might just order an AC800 receiver if its easier. Banggood? I didn’t see them on Aloft. As, both AC800 and Cicada 180 FC has 3 pin plugs, I need it to mod the included 4 to 3 pin cable (the cable has 3 wires). I removed the plastic from the end with 4 pins and replace it with another one with 3 pins. I do not suggest you the AC800, there are many complains regarding of this radio receiver. I think i will replace mine with a FrSky XSR too. 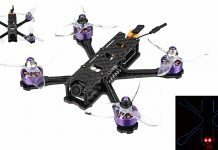 I’m a newbie to race quads and Taranis. 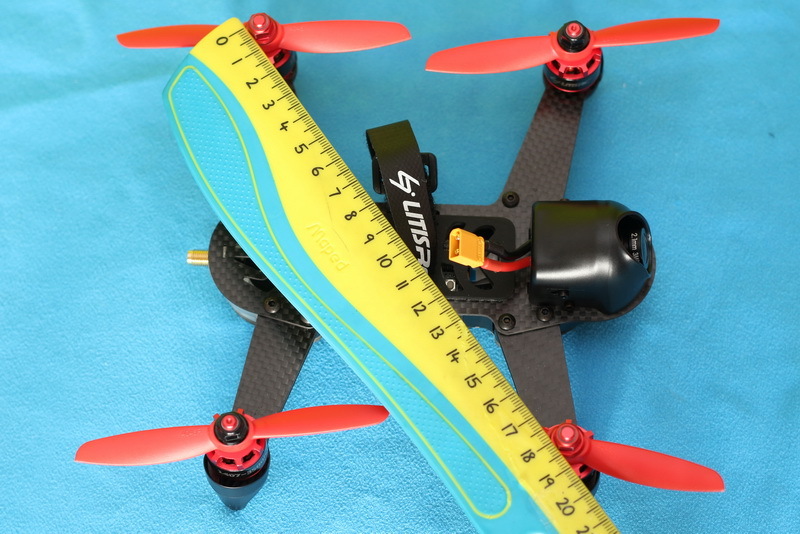 I’m an old fixed wing Futaba guy…. 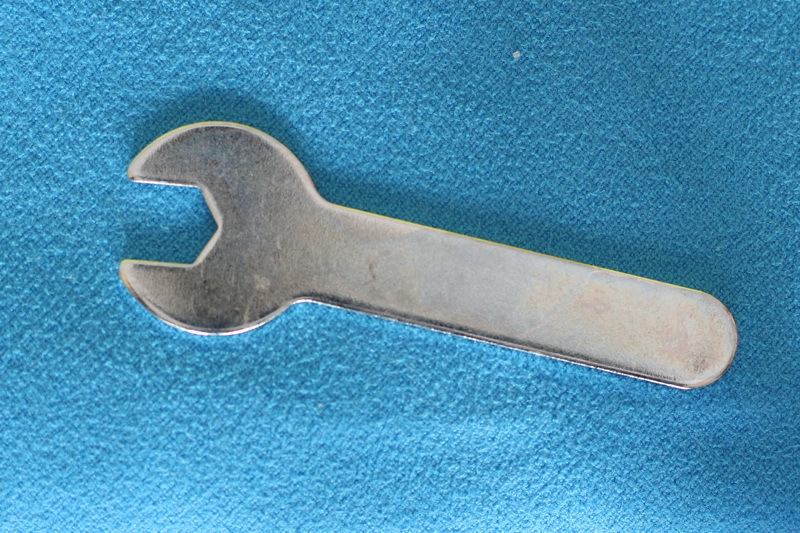 can you please elaborate on what you had to do with the 3:4 mini jst connector. 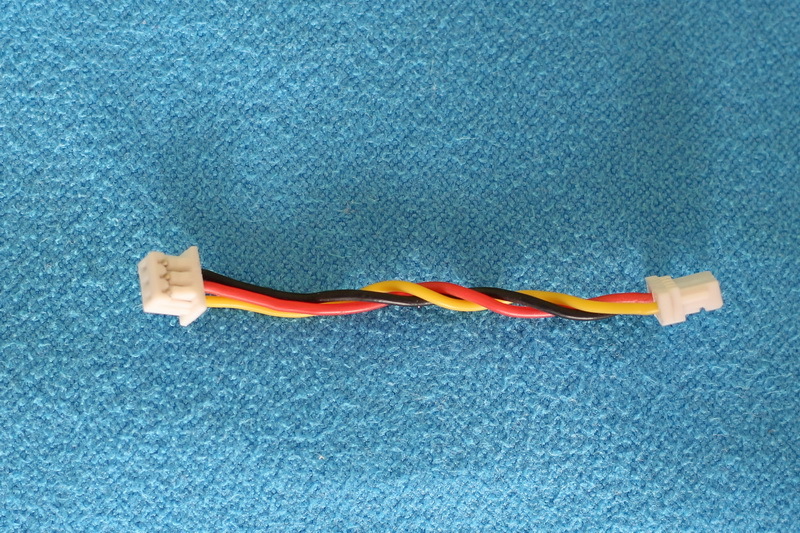 Did you plug the 3 pin female end of the cable into the Cicada 180 quad pcb and then modify the other end that goes into the receiver?